Refrigerated Shipping System has been field tested for 2 – 8° C temperature maintenance for 48 hours. 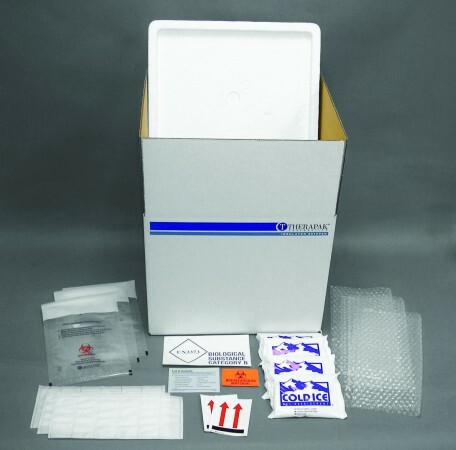 System includes: 12 x 12 x 12” 200# corrugated outer box, EPS cooler with 2.5” all around wall thickness, ambient gel wrap, 95kPa specimen transport bag with absorbent to hold up to six specimen tubes, refrigerant packs, list of contents card, filler material and required labels for IATA PI650 marking and compliance. 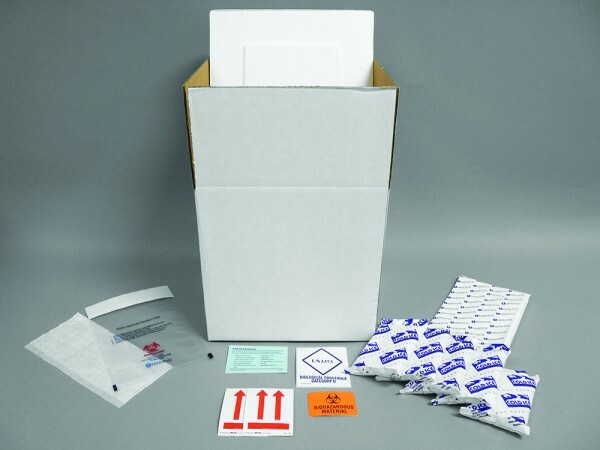 Packing Instructions are included to facilitate use for safe and compliant shipping. 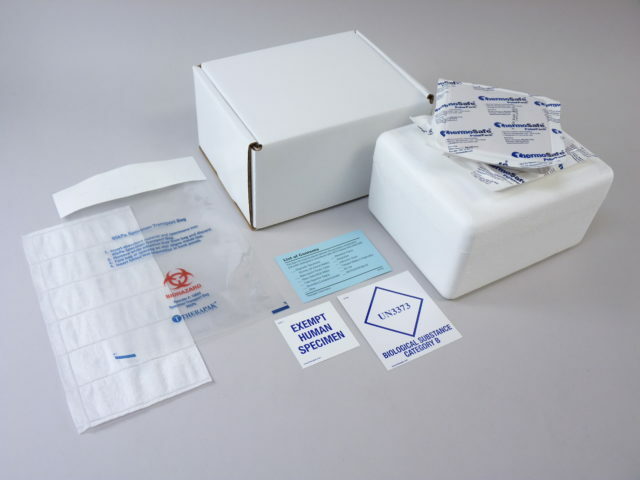 Refrigerated Shipping System includes: transport box (OD: 11 x 9 x 11″), small cooler (ID: 8 x 6 x 8″), 95kPa bag, Aqui-Pak™ segmented absorbent pouch, 8 oz. refrigerant packs, cushioning material, list of contents card and required labels for IATA PI650 marking and compliance. Holds up to six tubes for overnight shipments. 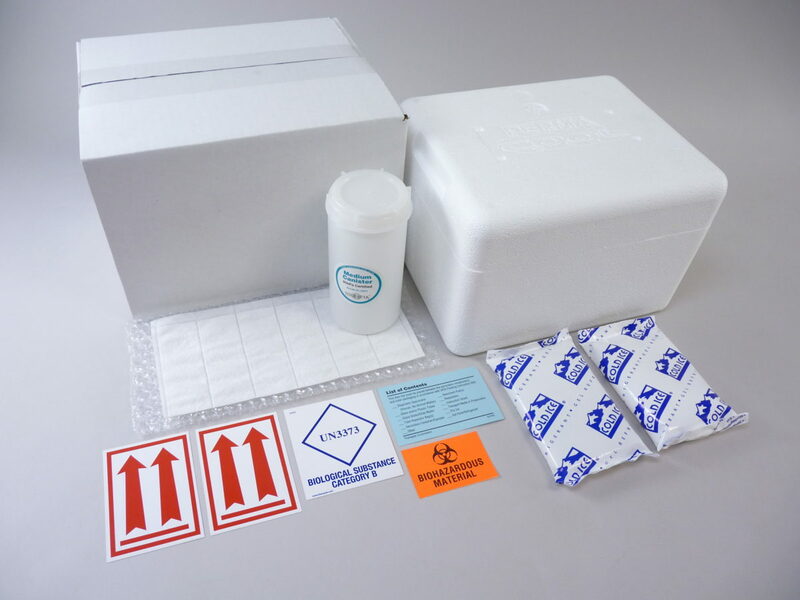 Refrigerated Shipping System includes: transport box (OD: 15 x 13 x 12″), medium cooler (ID: 12 x 10 x 9″), three 95kPa bags, three Aqui-Pak™ segmented absorbent pouches, 8 oz. refrigerant packs, cushioning material, list of contents card and required labels for IATA PI650 marking and compliance. Holds up to eighteen tubes for overnight shipments. 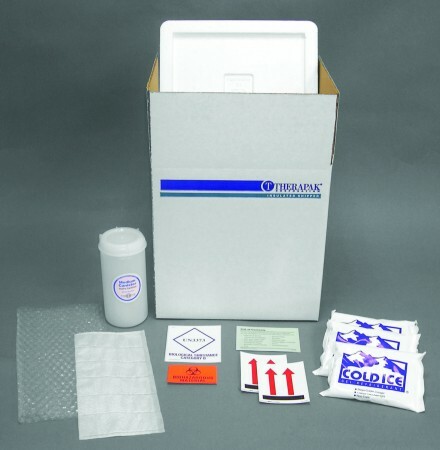 Refrigerated Shipping System includes: transport box, medium cooler, large 95kPa canister, three Aqui-Pak™ segmented absorbent pouches, 8 oz. refrigerant packs, cushioning material, list of contents card and required labels for IATA PI650 marking and compliance. Holds up to eighteen tubes for overnight shipments. 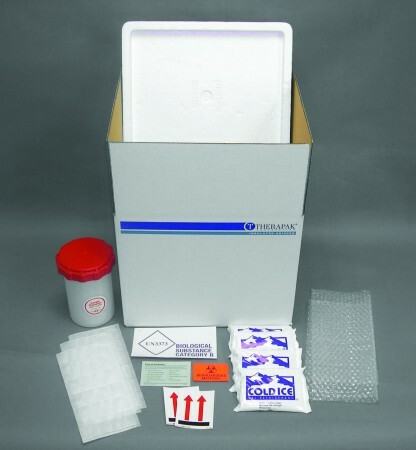 Refrigerated Shipping System includes: transport box (OD: 11 x 9 x 11″), small cooler (ID: 8 x 6 x 8″), medium 95kPa canister, Aqui-Pak™ segmented absorbent pouch, 8 oz. refrigerant packs, cushioning material, list of contents card and required labels for IATA PI650 marking and compliance. Holds up to six tubes for overnight shipment. Compact Refrigerated Shipping System includes: transport box, extra small cooler (ID: 6 x 4.5 x 2.5”), one 95kPa bag, one Aqui-Pak with six segmented absorbent pouches, two 7.5 oz. refrigerant bricks, list of contents card, Category B label and Exempt Human Specimen label. Holds up to six tubes. Category B certified. 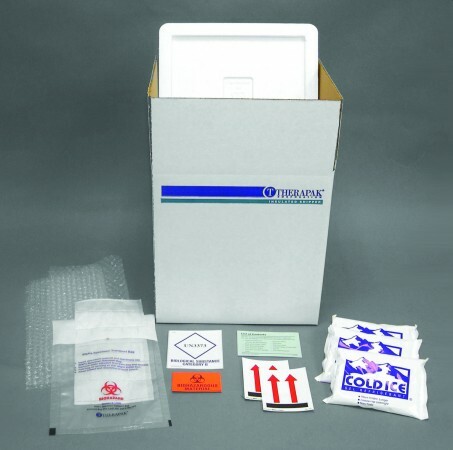 Fits in a standard freight poly bag mailer. Compact Refrigerated Shipping System includes: transport box, small cooler (ID: 8 x 6 x 4”), one 95kPa canister, one Aqui-Pak with six segmented absorbent pouches, two 8 oz. refrigerant packs, cushioning material, list of contents card, Category B label, biohazard label and two arrow labels. Holds up to six tubes. Category B certified.